He continued; “If you are not successful, women will not come after you. I am aware that I must get married someday, but I don’t know when because I must plan things well. No doubt, there is pressure from my father and mother, but I believe it will happen at the right time. Inasmuch as we have promiscuous women in Nigeria, I believe we have the good ones too. But the truth is everyone cannot be good. Even in the Bible, we have good and bad people. In the church too, we have bad and good women. 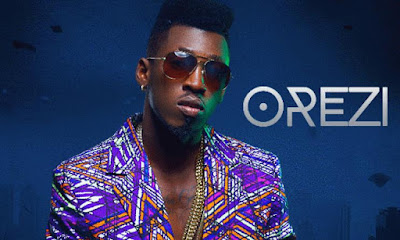 Orezi, who has never hidden his admiration for American superstar, Rihanna, said he would love to meet her someday. I have yet to meet Rihanna. The last time I thought I met her was in my dream. Something interrupted the dream and I woke up. I admire everything about her. Apart from being a pretty woman, she is a goal getter and she has achieved so much in life at a very young age. She ventured into cosmetics this year and she is doing well. I just admire her as an artiste and individual.